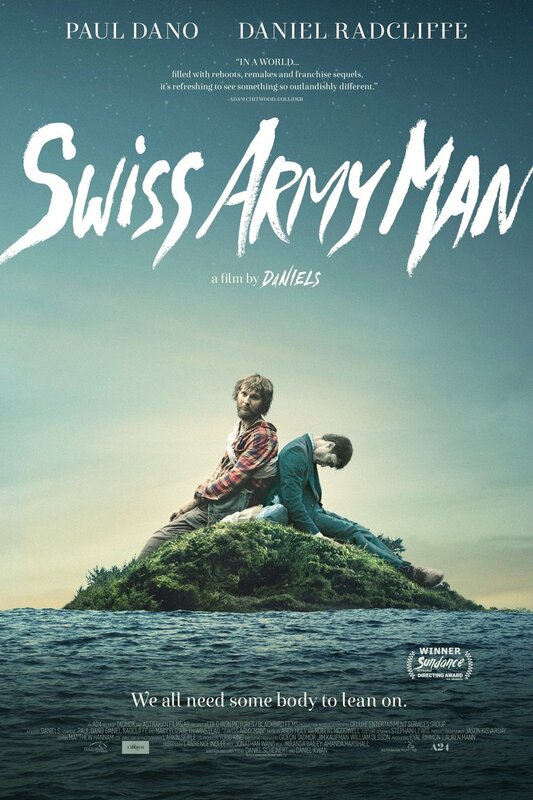 Swiss Army Man DVD and Blu-ray release date was set for October 4, 2016 and available on Digital HD from Amazon Video and iTunes on September 23, 2016. Hank is a man who has become stranded alone on a deserted island. Not entirely alone, as Hank soon finds that he is in the company of a dead body. A dead body with a lot of flatulence. Lucky for Hank he finds the body just as he was about to give up living himself. Not only does this farting body give him the will to live, but it also provides him with some tools that he needs to survive the journey home.